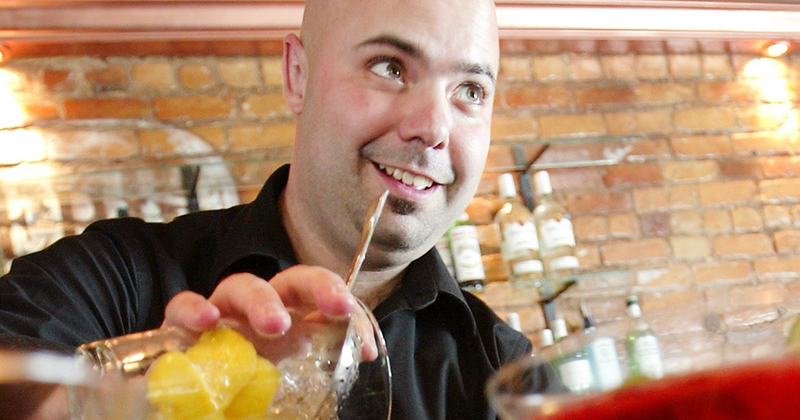 Philippe Haman, founder and general manager of Distilleries cocktail bar, tells us about the evolution of cocktail culture in Montreal. Just a few weeks before the opening of the MADE WITH LOVE Bar School, we asked Philippe Haman, founder and general manager of the Distilleries, in Montreal, some questions to gather his impressions on the cocktail culture of the city. How did you get involved into the bar world? I started at 18 years old. I had a friend at school whose parents owned a bar. It was my first student job! Why did you choose Montreal to open the Distilleries? The main reason, of course, is that it is a metropolis, there is a population, a market. The second reason is that I always thought it was better to install a bar where most people do not come by car! Especially since in 2005, people were drinking more alcohol. What has changed most in the community since you started there? Customer understanding, level of knowledge. From about 2005 to 2010, people saw us working behind the bar and it was like seeing an astronaut working. See something flambé, fresh food, stuff and more advanced techniques for the time … Now, customers tell me how they like their Old Fashioned! What makes Montreal’s cocktail culture so unique? 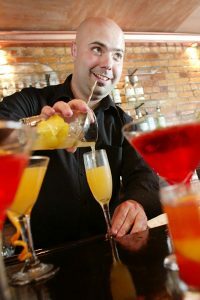 Without falling into the stereotype, I think that Quebec’s cocktail culture, for me, is more “in the guts”. In light of my visits to other cities, we still find here a little “warm”. That translates into the way we exchange between ourselves [in the middle] and with the customers. The approach is more user-friendly. What can it bring to Montreal’s cocktail scene, a bar school? In the field, there is a need to have a basic course so that employees start with tools, they have a good perspective of what they will live. Sometimes they arrive at a bar but they have not really thought about what it means to work in a bar. So classes can help employees prepare for this personal change in energy, cohesion in the team. Going on the right bases, it allows to be open to this culture, that we see and live.